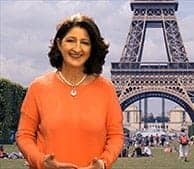 As an attendee on the course, you will receive a copy of our exclusive French Notes, designed to impress on the day of your exam. We bring students through the four linguistic skills required at leaving cert level: Reading, Writing, Speaking and Listening. In our February revision workshop, which is focused on The Environment students will look at this topic, and consider the many questions that may be asked of them, should this topic appear in the leaving cert exam. This year, we will be looking at issues surrounding The Environment, including Global Warming, Tax on single-use plastic, pollution and the rise in Natural disasters and extreme weather condition among others. These are just a flavour of some of the material that will be covered on the day. Students will be given the opportunity to write an opinion piece, diary entry or narrative, depending on the particular workshop. As always comprehensive vocabulary on the topic is given, and students will do a series of translation exercises, based on the topic. Students will also engage in listening, speaking and reading tasks throughout the four hour session. Our students consistently fulfil their individual potential using our exclusive material here at French Notes. We help our students achieve this, as we are entirely committed to providing exclusive notes and personal mentoring. 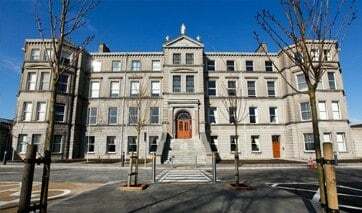 We have been asked by many students across the country to provide a forum for learning, and are delighted to hold our leaving cert workshops in Mary Immaculate College, Limerick, which is a renowned centre of learning. All of our branded material can be used at home, but we ask you not to share it, as it is strictly protected by copyright laws. As we do not accept large numbers on our workshop, learning is never compromised, so if you do sign up to attend one or more of our workshops, you will receive personal attention and feedback on the day.